Fifty Elite launched an entirely new performance expectation into the 2 piece distance ball category. As the original and only 50 compression golf ball, fifty offered unmatched feel in a ball that is as long as any on the market. Today Fifty is hands down the best value in premium balls, offering performance similar to balls twice the price. 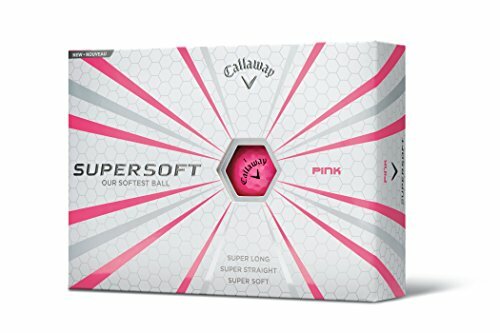 The Callaway Ladies Supersoft Pink golf balls have been designed with an ultra low compression to increase the distance that you hit the ball through the air for increased carry as well as the extreme performance that is needed for distance control on approach shots and around the greens. Playing Like you're Number One You aspire to be the best golfer you can be. Ball Couture will help you reach your full potential. 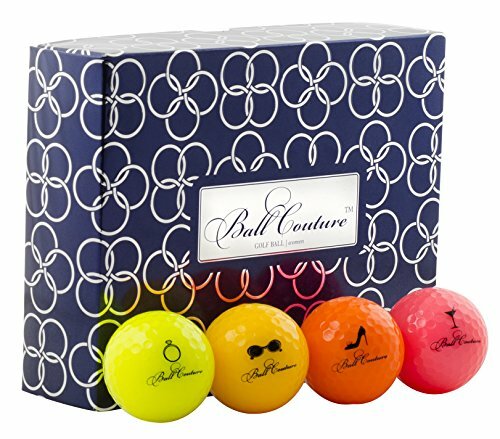 It is a high performance, fashion forward, fun to play golf ball designed for the stylish player. 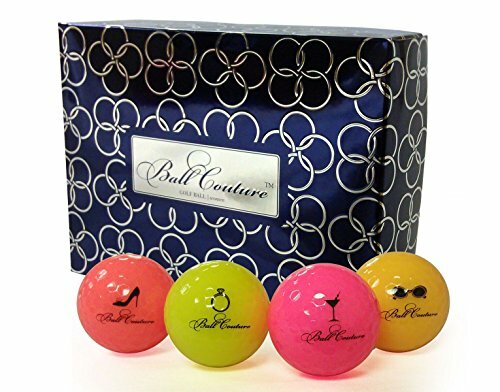 Ball Couture is engineered to benefit a woman's club head speed Delivering soft feel and long distance with a colorful contemporary appearance. Specifications: The Soft, lightweight, low compression, high resilient Nd-Br core benefits beginner to expert alike. The Icosahedral 332-dimple pattern improves aerodynamics and flight stability. The HPC outer cover provides durability and excellent spin. 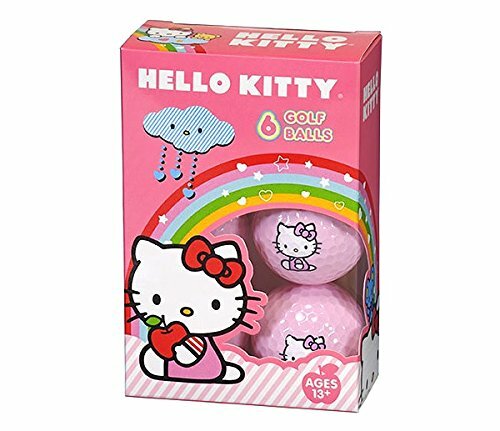 Bring some fun and personality to the golf course with the Hello Kitty The Collection golf ball. The low compression core and Ionomer cover deliver the ultimate combination of distance, feel and spin. The soft pink balls feature the Hello Kitty Logo and are packaged in 6 packs. 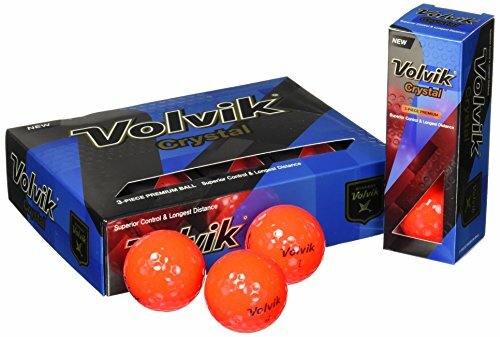 The Volvik Crystal is a premium level 3-piece golf ball designed for advanced golfers with slower to medium swing speeds (60-95 MPH) looking for a soft feel with more explosiveness. Crystal White: Enhanced visibility provided by the brightest colors in golf. Soft impact and feel, and longer flight distance is achieved by the world's finest patented Dual Core: a soft outer layer and a hard inner core, while the 350-Octahedron dimple pattern improves flight stability. Volvik Crystal elevates short game control with a soft feel and low compression control core, providing excellent putting feel and optimal spin rates made possible by more durable/softer Surlyn Crystalline cover. 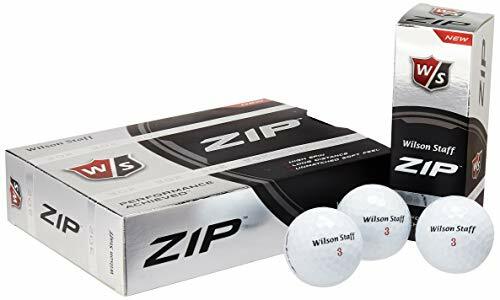 3-piece tour performance: Explosive distance and a more accurate approach provided by Power Core, Bismuth Control Layer, and Zirconium Z-I Outer Cover. 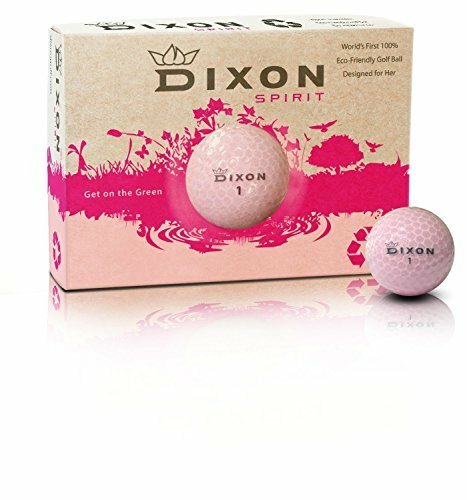 The Dixon Spirit golf ball is perfectly designed for today's lady golfer. 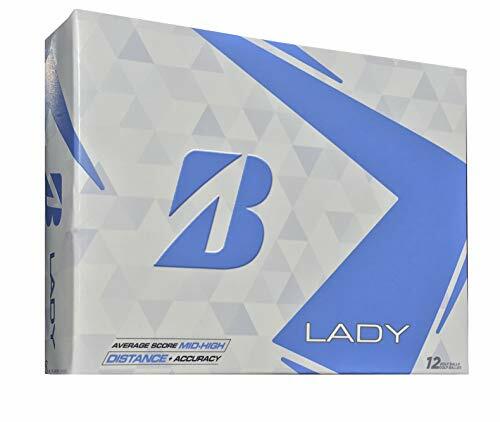 It provides maximum distance and optimum feel around the green for players with swing speeds between 70 and 90 MPH and handicaps of 10 and above. 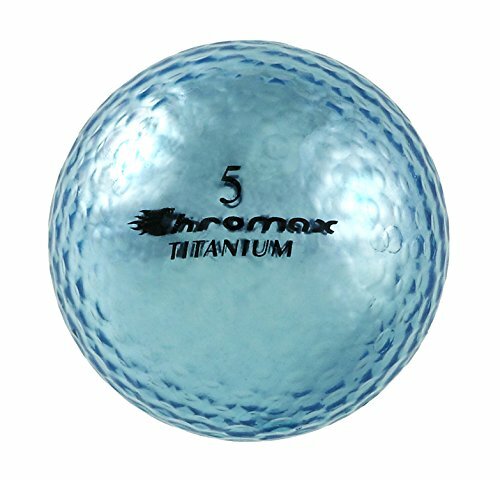 This soft, eco-friendly ball will fly with a medium trajectory and offers medium spin from your irons. Not only will the Dixon Spirit golf ball make the most of your game, it also makes the most of our environment. The Dixon Golf company prides itself on producing high-performance, eco-friendly golf products. All balls, equipment, apparel, and packaging are made of 100% recyclable materials. 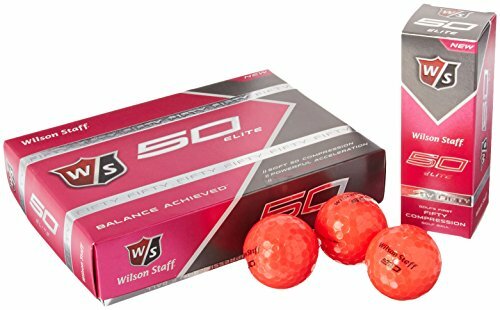 The new and improved Wilson Staff Fifty Elite golf ball delivers balance to your game. Synergies between an advanced rubber core chemistry and a thin Ionomer cover yield a fast, 50 compression golf ball with powerful acceleration. 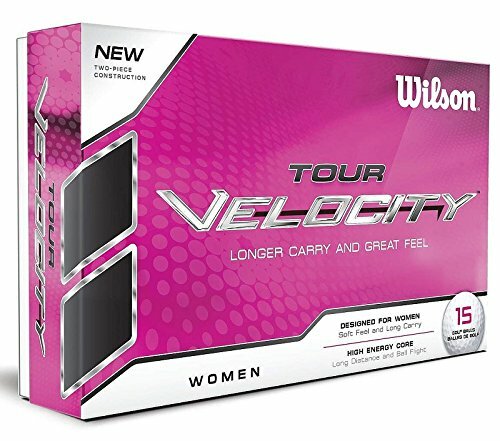 Softest ladies balls ever from Bridgestone Golf equates to longest distance with softest feel. Unique 2-pc Ionomer cover for maximum durability in 3 vibrant colors - optic white, Yellow and Pink. What do you get when you combine the lowest compression golf ball on the market with HEX Aerodynamics? A long, straight distance ball that is incredibly soft of course. Higher spin, longer distance and unmatched soft feel, ZIP offers the best that multilayer construction can offer with something that no other ball can match: it's ultimate soft feel. The patented Zero Compresssion Core delivers amazing feel with shot stopping spin. 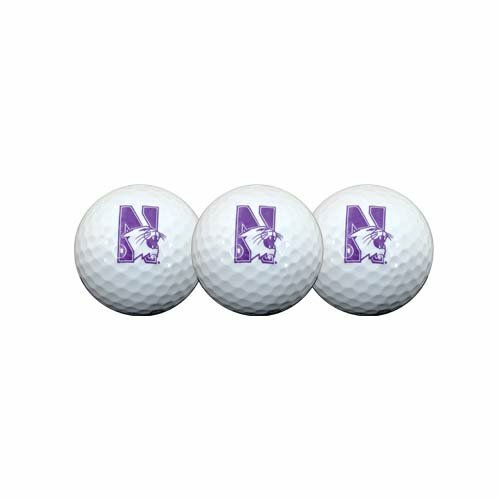 Golf ball pack contains three, durable cover, two-piece construction balls, printed with collegiate trademark. They are packaged in a hangable clamshell. 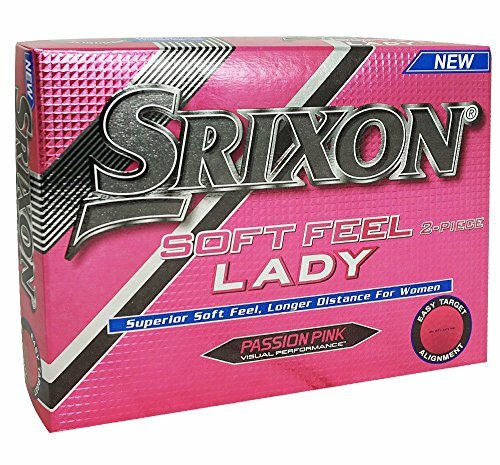 The new Srixon soft feel lady golf ball, in its 5th generation, features the same performance benefits as the soft feel 10 with a slightly higher launch. Available in soft white and passion pink. 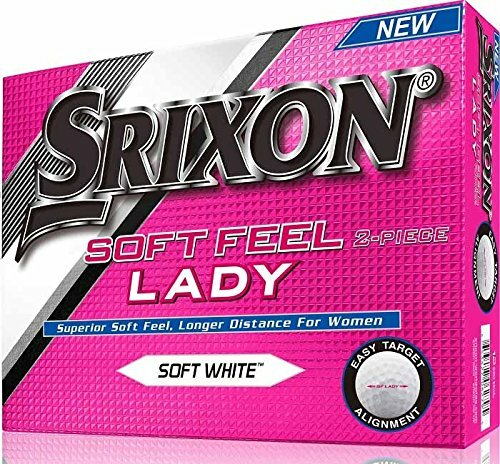 Soft Feel & Increased accuracy High trajectory & outstanding distance Traditional look for everyday play Conforms with USGA and R&A rules Playing Like you're Number One You aspire to be the best golfer you can be. Ball Couture will help you reach your full potential. 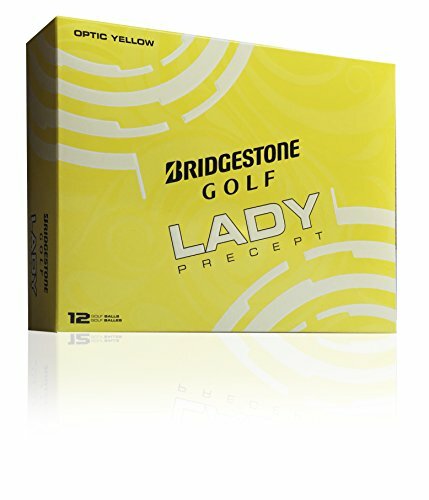 It is a high performance, fashion forward, fun to play golf ball designed for the stylish player. Ball Couture is engineered to benefit a woman's club head speed while delivering a soft feel and long distance with a contemporary appearance. Specifications: The Soft, lightweight, low compression, high resilient Nd-Br core benefits beginner to expert alike. The Icosahedral 332-dimple pattern improves aerodynamics and flight stability. The HPC outer cover provides durability and excellent spin. WGWR60400 Features: -Tour velocity ball.-Increased feel and playability on short game and approach shots.-Compression low.-Dimple count WS400 dimple pattern. Dimensions: -Product weight: 1.81 lbs. Warranty: -Manufacturer provides 1 year warranty.